What a dynamic time I had at the LCF. I was there to talk about global retail trends to over 100 students on the prestigious BA (Hons) Fashion Management course - it's the 'flagship' course of the Management & Science school within the College. 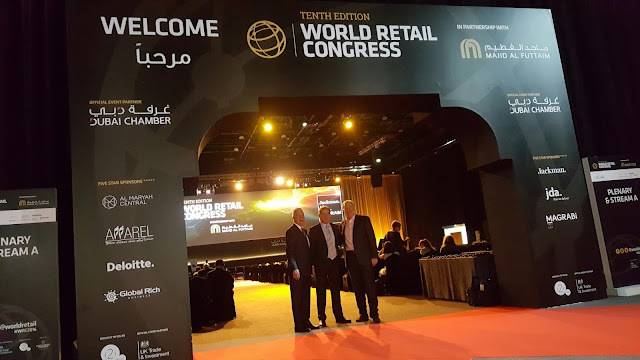 We had a ball and I really enjoyed the feedback and energy - it was great fun talking to so many students from around the world - retail stars of tomorrow from near and far including Dubai, Russia, China, Japan ..too many to mention...absolutely incredible. And as would be expected from this young audience there was great concern about fairtrade and sustainability. BIG thanks to Sally Bain and Heather Pickard, two fashionistas and accomplished lecturers from the university who invited me to speak and then bought me a wonderful supper! Great to be back lecturing in London after my hectic travels.